This Hearts and home shadow box was originally a GRAZE health food box. 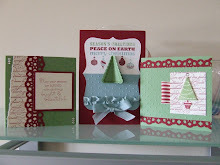 I used a few of my own stamps, Tim and stampin up plus a maya road little chippie house. The rest is from the kit.